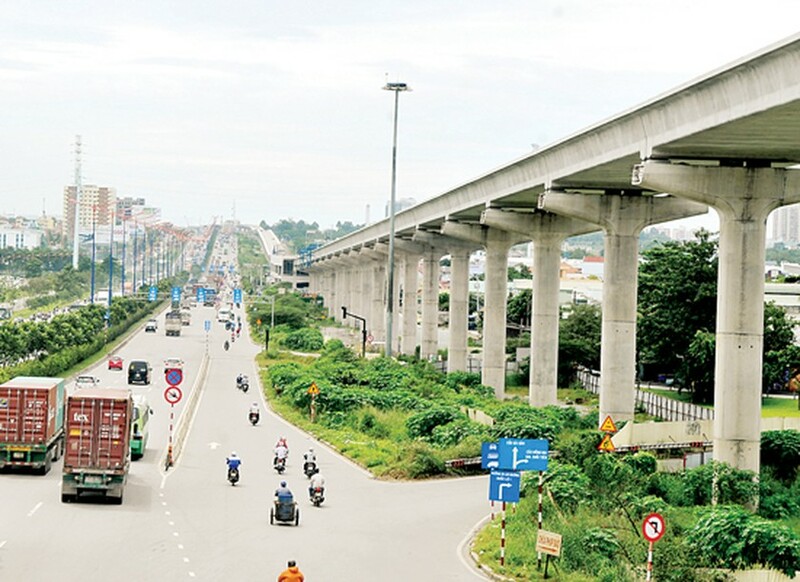 Ho Chi Minh City has been in urgent need of having more autonomy to make development investment decisions after the Prime Minister decided it to share difficulties with the central Government by keeping 18 percent of annual budget revenue instead of 23 percent. The statement has recently been made by Deputy Chairman of the HCMC People’s Committee Nguyen Thanh Tai, who affirmed the thing that HCMC needs most now is a more transparent and suitable mechanism to mobilize resources for development. HCMC has been tied with many procedures and regulations from ministries and central agencies causing difficulties for it to solve local issues. For instance, the city has planned to rebuild old apartment blocks for many years but the progress has been too slow. Deputy Chairman Nguyen Thanh Tai said that the largest barrier come from mechanisms to lure investors. Specifically, investors have been uninterested in these works because they have been permitted to rebuild them with the same scope for dwellers to relocate. They will not be able to do more business from the new buildings. HCMC wants to allow them to increase the number of storey and floor area ratio but meets with a lot of regulations from central agencies. The Construction Law 2014 requires that projects of from 22 floors and higher must be submitted to the Ministry of construction to consider and decide. As a result, many investors have dropped out because of time consuming and costly procedures. HCMC has dense population ratio receiving tens of thousands of immigrants annually. Therefore, it is in dire need of new buildings to meeting housing demand. The progress of rebuilding old apartment blocks should have not been such slow if the city had more autonomy to reduce administrative procedures and attract investors, Mr. Tai said. For the last nine months this year, investment capital in HCMC totaled VND200 trillion (US$8.96 billion), in which the city budget accounted for VND12 trillion and the remaining funds had been mobilized from social sources. This proves the city’s big attraction to investors. On the other hand, Mr. Tai said that the central government’s budget allocation to the city comprises many specific regulations for each project. This has made the municipal authority not proactive to use these funds. Investment efficiency should be a norm for the government to estimate the city’s investment activities. Similar condition has occurred in education field as the government has assigned to the city education norms basing on the number of permanent residents. Meantime, the country’s largest economic hub has received a lot of immigrants together with their families from other provinces who come to reside, work and study. Consequently, HCMC has to ask for higher education norms to meet schooling demand of these families’ children. From another angle, Mr. Tai said that HCMC could not penalize fishers in Nhieu Loc-Thi Nghe Canal because it has no jurisdiction to issue sanctions to tackle the problem. An expert from the HCMC Development Study Institute said that most Vietnamese businesses are of small and medium sizes, which together with other reasons has sometimes forced the country to accept foreign investors with outdated technologies. If domestic businesses are strong, the country will have more conditions to bargain with foreign investors and require them to equip advanced technologies. In addition, the Government has called on citizens to start doing business. HCMC with the role of the country’s economic hub will be a fat land for startups. Hence, the expert suggested the Government to give HCMC more authority to provide startups with low interest loans and issue some policies on its own to encourage the startups. 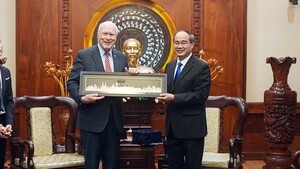 The Government will supplement some official development assistance sources for HCMC, which the expert said a right decision. Still he commented that it will be better to allow the city to seek other overseas preferential loans basing on local demand and ability instead of waiting for the Government’s capital allocation.